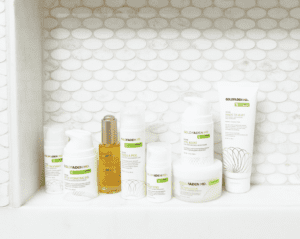 A daily regimen is on everyone’s mind, but how many steps and products do you really need? Sadly there is no magic bullet to deliver all our skincare goals, but with 5 easy steps, you can turn back the hands of time and keep your skin looking youthful. Five may sound daunting but below explains why you need each step to achieve glowing healthy skin. The process of exfoliation is a lot like peeling away the dry, outer skin of an onion to reveal the living layers beneath. Whether the exfoliation is done using mechanical abrasion or a controlled chemical reaction, removing dead and damaged skin cells on the surface allows the fresh new skin underneath to become visible. This newly exposed layer of skin feels much softer and smoother. Its surface reflects light better, making fine lines and other small imperfections harder to see. Age spots and other areas of unwanted pigmentation are less noticeable because the dead skin cells containing the pigment have been removed. Exfoliation unplugs clogged pores and allows for the release of natural skin oils. Regular exfoliation also helps to maintain open pores, decreases pore size, and minimizes many types of superficial scarring. In addition, removing the top layer of dead and damaged cells allows treatment ingredients to penetrate the skin and work more effectively. **Exfoliate your skin two to three times a week, unless you suffer from rosacea or eczema. Depending on the season and climate where you live, exfoliation can be increased or decreased. Cleansing or washing the face should happen at least once a day if not twice. Upon waking, washing the face will remove the residue from applied night treatments and regimen. If you choose to cleanse in the AM, make sure to use a cleanser that won’t strip or dry the skin. Cleansing the skin at night is a must! No exceptions here. The skin is exposed to many pollutants from just stepping foot outside your home. Soot, car exhaust, sun, second-hand smoke, and many other pollutants wreak havoc on the skin leaving a layer of dirt and free radicals. Makeup also needs to be removed no matter what. **Sleeping in makeup is one of the worst things you can do for your skin. Clogged pores will lead to breakouts and or rashes. Pollution releases microscopic particles or free radicals that can go deep into the skin and cause damage to otherwise healthy cells. The outcome is a loss of elasticity (wrinkles and sagging) and Hyperpigmentation (dark spots). Pollution can cause uneven skin tone, dehydration, dryness, dark spots, expedited aging, wrinkles, sagging and deterioration of collagen. 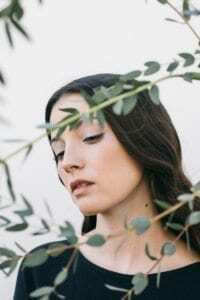 Consider using products that employ the highest regarded pollution fighting ingredients, such as, Organic Red Tea, Ferulic Acid, Vitamin C, Vitamin B, Vitamin E, Retinol and Resveratrol. Look for ingredients that hydrate and repair. Plant stem cells are powerful ingredients that hydrate and repair damaged, aging, sagging skin. Organic Red Tea extract also restores important anti-oxidants and Birds of Paradise restore skin’s youthful appearance by reducing uneven skin pigmentation, dull and lackluster complexion resulting in an increased illuminated glow. Plant and botanical based oils are also a terrific way to get hydrated! Loaded with Vitamins C , E and F, Baobob, Kalahari, Marula, and Mongogo oils not only deliver hydration but also overall brightness and luminosity. Sun protection is crucial all times of the year but especially during the summer. Reapplication every hour when in direct sunlight and up to three times daily (AM/Mid—day/Afternoon) when going in and out of indoor/outdoor areas. As a general rule of thumb: if you are going to be outside for 20 minutes or more, SPF is recommended. ** “I always recommend an SPF of at least a 30. Wearing SPF safe clothing, like hats and glasses are crucial and extremely beneficial for sun protection.” Dr. G.
While tropical humid climates keep skin hydrated and glowing, high temperatures and intense sun can cause redness, premature aging, sun damage and wrinkles. Humidity causes skin to sweat, purge and may increase redness, irritation and possible breakouts along with clogged pores. Sun protection is imperative. 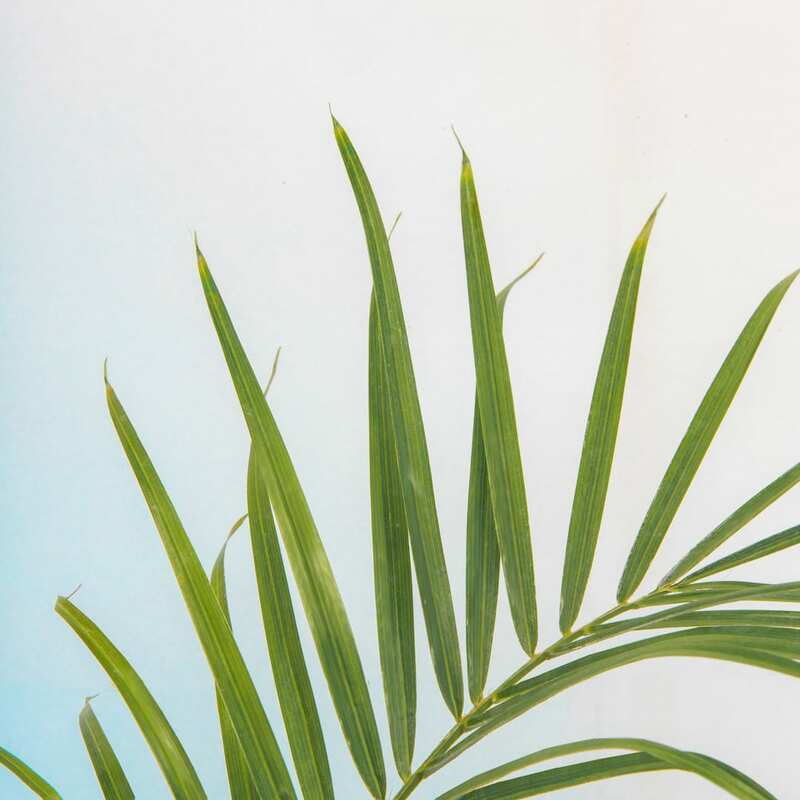 In tropical or humid climates, pack lightweight, oil free serums, moisturizers, SPF’s and exfoliation products. Still not sure what to throw in your cosmetic bag-we got you covered this year-check out our NEW Travel friendly items! Pollution can cause uneven skin tone, dehydration, dryness, dark spots, expedited aging, wrinkles, sagging and a deterioration of collagen. Pollution releases microscopic particles or free radicals that can go deep into the skin and cause damage to otherwise healthy cells. Visiting a city this holiday season, don’t forget to detox, clean and protect your face with anti-pollution serums and SPF! Dry, cold and high altitude climates dehydrate skin and can invite early onset of wrinkles not to mention severe sunburns. With intense sun, low temperatures, and harsh winds, the skin has nowhere to hide. Replenishing hydration, protect the skin with SPF and don’t use unnecessary aggressive products. We all know the common skin culprits when it comes to breakouts what the causes including, bacteria and oil, hormones, and certain foods or medications. Have you ever thought about where we live to be some of the main contributing factors to some of our skin woe’s? Life is a beach until you get a sun burn or sun damage. Beach climates call for high humidity and high temperatures. Do not forget that a tan in reality is the body’s reaction to sun damage. That gorgeous glow you’re hoping for is essentially your skin reacting to being attacked by damaging rays. When the skin is exposed to sunlight the melanocytes in the body become activated and produce dark pigment to protect the skin from absorbing more rays. While SPF is a must it is only 1 of 3 lines of defense against the sun. Try easing up on the heavy moisturizers and protective oils. Heavy hydrating products can cause clogged pores and breakouts. Try transitioning into a hydrating serum that contains lightening agents like Alpha Arbutin or Kojic Acid. Not only will this eliminate one step from your regimen but a treatment serum can also help to protect and reverse sun damage and dark spots. Botanical oils and dry oils can also serve the purpose of a serum, treatment and moisturizer in one. Oils should never contain Dimethicone (which can clog pores) so always read the ingredients. While exfoliation is still imperative, ditch the acid wipes and pads and try a gentle lactic acid mask once a week like Dr. Goldfaden’s Fresh A Peel. Lactic acid is particularly appropriate for sun damaged skin, dark spots and hyper-pigmentation. Lactic acid molecules are larger than Glycolic molecules so they don’t go as deep as fast, therefore targeting the top layers of the skin (where the darkness appears). Scrubs can take a back seat during beach weather too. Over scrubbing can make skin red and dry especially if skin has been exposed to the sun or sea. If you lust cant live without your Doctors Scrub, try mixing it a refreshing, rejuvenating cleanser that gets the skin clean. Gel based cleansers that are formulated without harsh chemicals are the best for summertime. Regardless of skin tone, ALL skin needs sun protection. Although fair skinned individuals will burn quicker, darker/olive skin tones need to be aware too. It is important to keep in mind that sunscreen does not prevent tanning, it does however help protect against damaging UVA and UVB rays. This is important for darker/olive tones to remember, just because the skin is tanning does not mean it is not being damaged. What happens if you get sunburn? Sun burned skin can be treated at home. Look for products that contain Organic Red Tea , which is soothing and reduces inflammation and redness. To soothe hot itchy red skin add oatmeal or baking soda to a cool bath. Topical application of aloe or a cool compress always helps. If you are really sore or swollen you can try taking Ibuprofen for inflammation. And because the sun dries the skin out, moisturizing is a must! Body lotions with avocado oil, Shea butter, coconut oil are the best for this. 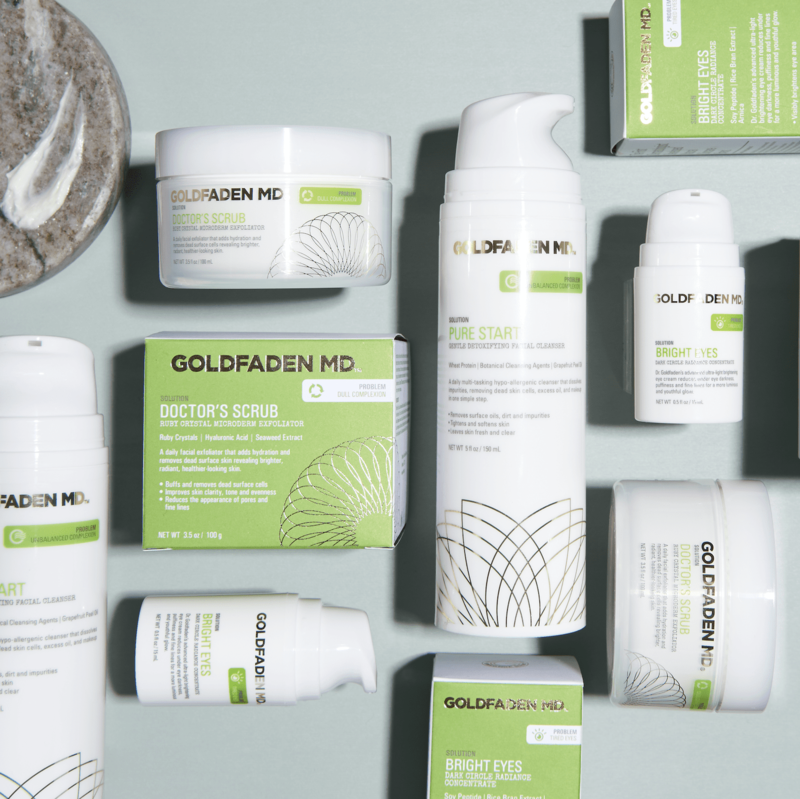 Shop Dr. Goldfaden’s entire collection here.